Loudenise is a second generation member of Mountain Faith Mission. Her father, Ti-Luke, grew up in the children’s home. Prior to the earthquake, the family was living in Port-au-Prince, but because of the disaster, they were forced out of the city and turned back to the place that Luke knew well – Mountain Faith Mission. 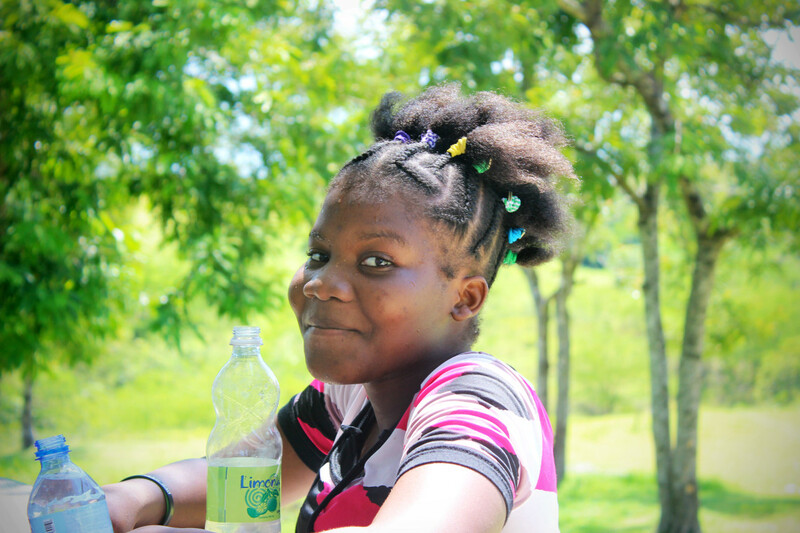 Loudenise and her siblings live in the children’s home because their parents struggle in finding work. Luke and TiEnnis both live near the home and frequently spend time with their children. In fact, when labor projects are being done, you will definitely find Luke working hard for the mission. Loudenise may seem shy and standoffish to the Americans, but that’s not even close to the reality. Loudenise loves to have fun and laugh. She is one of the girls in the dorm that is in charge of the other girls in her room. She takes this leadership seriously, but she also likes to cut up as well. If you have the opportunity to get to know her, you’ll fall in love with her dry sense of humor that will continue to draw you back in.